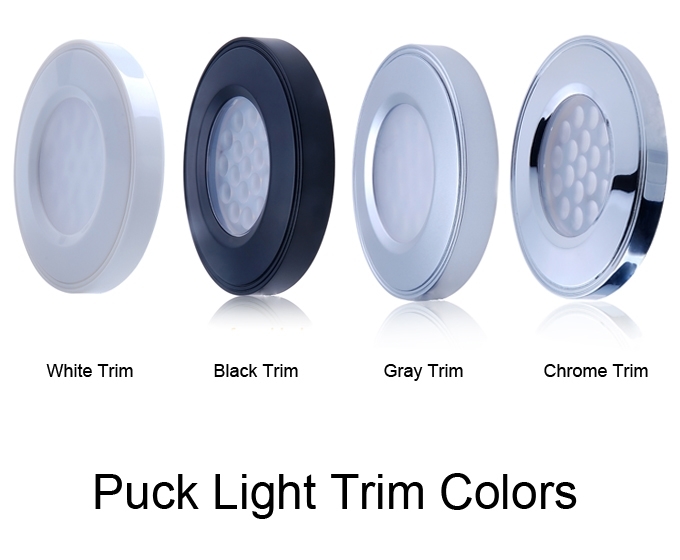 Proffesional Grade LED 2W, 2inch surface mount Puck light for LED cabinet lighting with black trim. 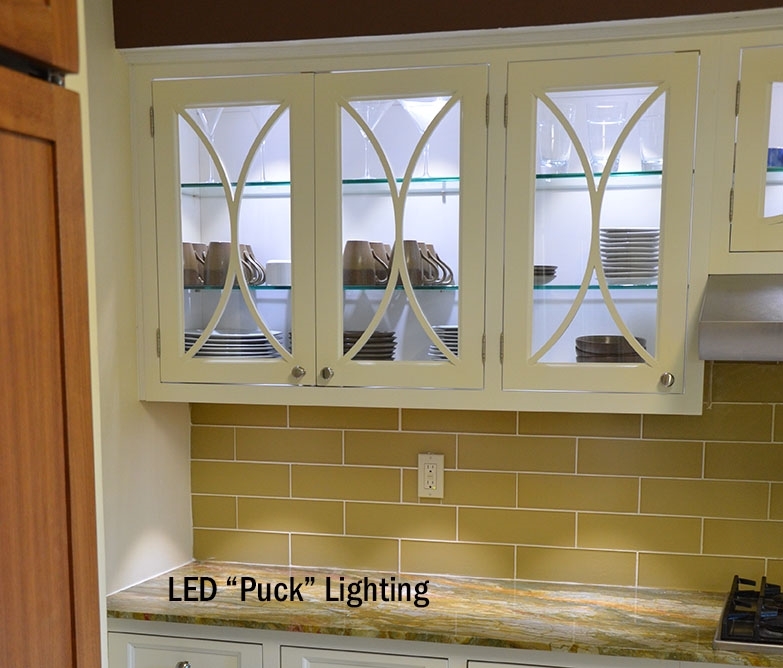 Use our beautiful matte black finished LED puck lights to add dramatic lighting effects to your kitchen or space. Our matte black LED pucks produce vivid lighting through their color optimized LEDs producing color rendering over 90. Offered in (3) standard color temperatures (CCT), our black matte LED puck lights are versatile and can be universally used across many spaces and design schemes. Our black matte LED puck lights can be both recess mounted or surface mounted. Plug-and-play in minutes using our smart-connector series. 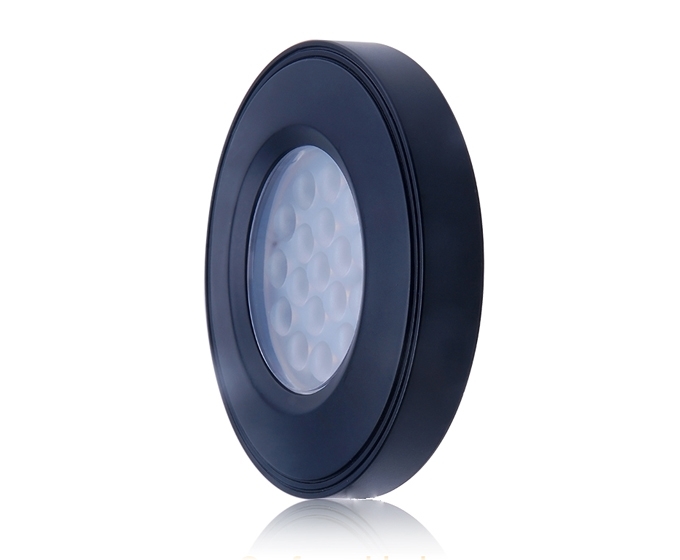 Our black matte LED puck light produces 120 lumens at 1.8 W.